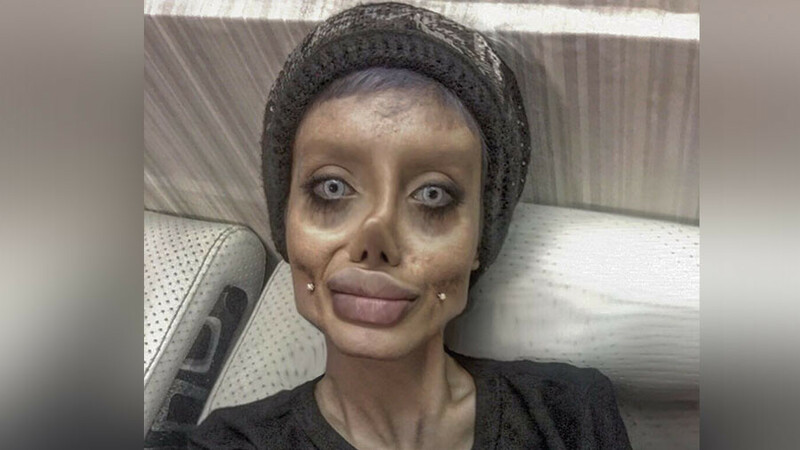 The internet has erupted in debate over a woman who reportedly had 50 plastic surgery procedures to look like Angelina Jolie, but instead came out looking like a “corpse bride.” RT’s Verification Unit has found that the images are most likely doctored. 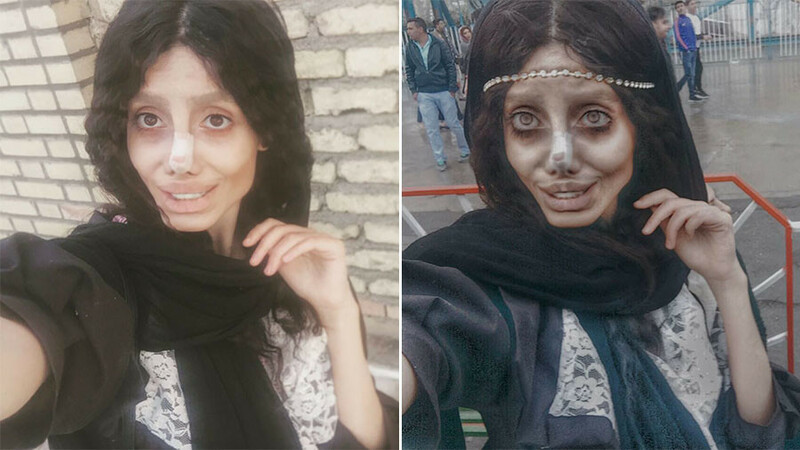 The story of Iranian woman Sahar Tabar made waves across the internet this week, with Belgian news site Sudinfo reporting that she had undergone some "50" plastic surgeries to look like Jolie. It also said she had lost 40kg (88lb) in an attempt to achieve Jolie's slender figure. Photos posted on Tabar's Instagram account quickly spread, with critics saying she looked more like a "zombie" and "corpse bride" than Brad Pitt's estranged partner. Another person called her a "ghoul," while other critics called her "stupid" and "scary." Commenting on her extremely thin physique, one person pleaded with her to "please eat." But the images in fact appear to be fake – at least in part. RT's Verification Unit looked into the story and found numerous reasons why the woman’s appearance has been digitally tampered with. For starters, it cites two images that were posted to her Instagram account on April 1 and April 2. While both appear to be mimicking Jolie's appearance, the photo from the second day shows "heavy distortion" in her face, a "transition evident of Photoshop use." The unit also cites an image posted to her "Instagram stories" on November 30, which doesn't show the extremities in her face. "The inconsistency in her appearance tells us this is not her standard appearance," RT's team concluded. "Videos posted to the Instagram account, which would be harder to doctor, do not show the same level of interference." A source in Iran confirmed to RT that the Instagram account does belong to Tabar, and noted that she is indeed known in the country for her extensive plastic surgery. However, images of her extreme Angelina Jolie look are most likely relying on Photoshop or extensive makeup, due to her affinity for the animated character the ‘Corpse Bride’. If the move is merely a publicity stunt aimed at making Tabar a social media celebrity, it appears to be working. Her Instagram account grew by over 60,000 people on Thursday alone, the day her photos went viral on social media, Hollywood Life reported. Tabar – who is either 19 or 22, according to conflicting reports – isn't the only person to make headlines for reportedly trying to look like a famous figure. A man in the US has dedicated his life to looking like a real-life Ken doll, even going so far as to gain extra pounds so the fat could be used to plump up his buttocks. Others have also made headlines for trying to look like Barbie dolls, while New York woman Jocelyn Wildenstein, dubbed 'Catwoman', has undergone countless surgeries to look like a feline.